The engine was rebuilt 450hrs ago, but the batteries were flat so my father could start it. My father and I have decided to pass on the boat. This because we don't want to waste time that could be spent working on our boat. If we were to get Barnacle, I am sure, with it beside our house, we could have it in good shape by the end of the summer. However, our plan was to put our boat beside the house to repaint this summer, and we just don't want to give it up! I believe, if one could do the work himself, the boat could be brought to good shape with $25k, including purchase and movement. I had several shipping quotes for $2200-2800, going from Texas to SW FL. The topsides need filling and fairing all around, as well as a bit of actual glass work, then a paint job. The rub and caprails need full removed and replaced - a $300 job with Ipe, but a few good man hours. The interior is dirty from sitting since Ike, and but it is nice inside. Remember that flashes make varnish look terrible no matter what, so take the nicks and all with a grain of salt. Dad didn't see any traces that water got in the boat; the electronics all appeared fine, and there was nothing amiss from what Timothy (the owner) described. Most of the stains and things you see throughout are just dust. The bilge is totally dry. This boat is optimal for someone who wants a boat that needs work and not much else. It was ready to sail before Ike, and could be made GOOD in two or three months of medium-intensity work, a month if you hustle. I know the photos make it seem more than that, but the boat is mainly cluttered with stuff, making it appear crazy. That said, it would take a lot of time and acute care to get this boat to bristol condition. There are lots of little things that I would want to change if it were my boat (which will be bristol some day...you wait and see!! ), but I know that others aren't necessarily as picky. Bottom line is; the boat is VERY worth $10,000, or even $20,000, as is. 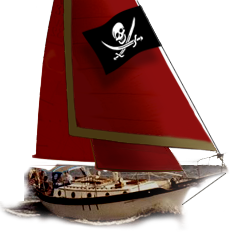 If you want a Westsail, this would be a good one to take the plunge on.